There are few things in life so stressful as selling your house. It could just be me, but I highly doubt it. Getting your house off the market is an arduous task indeed. You might remember Joseph from Sunday School – yes, the very same one who was married to Jesus’s mother, the Virgin Mary. Well, Joseph was a carpenter by trade, making him rather a big deal in the world of carpentry. He’s the patron saint of carpenters and so, by extension, the patron saint of homes and real estate (apparently). 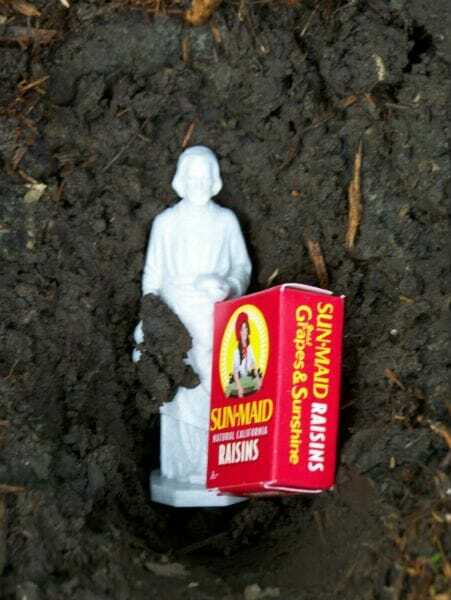 According to tradition – and no, we’re not making this up – home owners desperately trying to sell their homes need only appeal to Joseph for extra help… by burying a statue of him in their yard. Yes, we’re sceptical as to whether a small figurine can land you a buyer as well, but there are plenty of people who vouch for it. The ritual takes place differently, depending on who you ask; some people prefer to bury Joseph upside down facing the front door, some people prefer to stick him in the flower bed. The minor details aren’t all that important, only that the practise is observed. And while there are Christians the world over who bristle at the idea of burying Joseph in the dirt, there are an abundance of those who genuinely swear by it. According to Shared, the tradition may have become a ‘thing’ as late as the 1970s, with a number of reports have declared that the bizarre method actually does get results. In his book Saint Joseph, My Real Estate Agent, Stephen Binz says that a man once threw his statue out because it wasn’t working for him. Then, three days later, Binz picked up a newspaper and saw that the local dump was being sold. Alright, maybe not that spooky, but if you’re a homeowner who’s stressing over finding a buyer for your house, what’s the harm in trying? How strong is your faith? 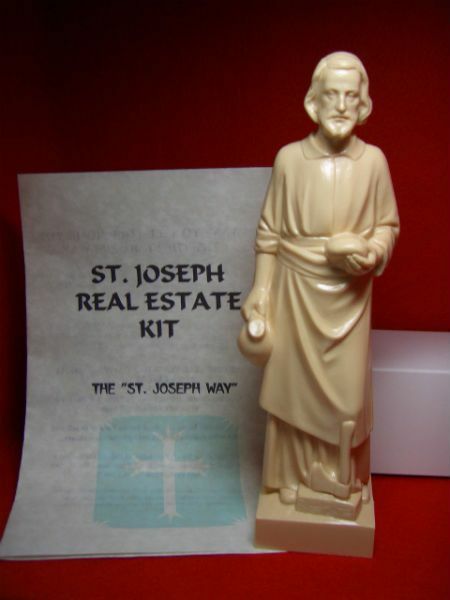 SHARE this article if you believe Saint Joseph can help people sell their house! Don’t agree? Leave a comment in the box!